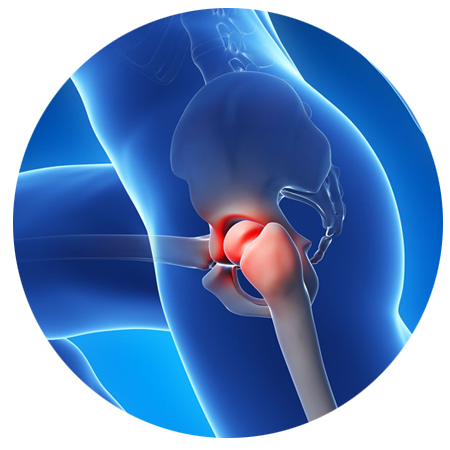 Front Range Regenerative Medicine’s doctors have extensive experience when it comes to hip pain treatment. We have pioneered the industry’s latest proven alternatives to surgery and steroids. Our in-office, same-day procedures will alleviate your hip pain regardless of the cause. Our revolutionary platelet rich plasma (PRP) and regenerative cell procedures treat all the damage and underlying conditions that cause you pain. Our surgeons use regenerative cell therapy to rebuild and strengthen the damaged tissue of your hip, eliminating your pain and improving your quality of life. If you are suffering from labrum tear, you can visit us for a painless alternative to cortisone injections and/or surgery. After undergoing our procedure it will take you a very short time to recover. Front Range Regenerative Medicine’s procedure for labrum tears includes regenerative cell therapy. This procedure reduces the risk associated with traditional surgery and treats the underlying damage causing the pain. These cells accelerate the healing process by making the conditions in the affected area more conducive to repair and stimulating the movement of regenerative cells towards the site of inflammation. Advanced developments in regenerative medicine now make it possible to effectively treat pain from hip degeneration without prescription medications or steroid injections. In many cases, it may even help some sufferers avoid high-risk surgeries. Procedures like Regenerative Cell Therapy take your own cells, and uses them to heal specific areas of damaged tissue. When inflammation and aging slows down the natural production of these cells, providing the body with them in concentrated levels, quickly reduces pain, inflammation, and scar tissue. This process provides support for the immune system to help heal damage and degeneration within the hip joint. With regenerative cell therapy you eliminate risk factors by using your own cells. The cells act as immunologically privileged material, meaning it has NOT been shown to cause any rejection reaction in the body. This means there is no graft versus host problem.